Spawn Point Bar is a humble little bar built by those who love to play games. Our aim is to have an environment that caters for both gamers and their non-gamer friends and partners. We hope to bring back the memories of the many hours people put into their older gaming consoles (retro) when they were younger along with a mix of drinks - from spirits, cocktails, beers, wines and cider - snacks and pizza. If you are not a big gamer, we welcome you too! Entry is free so come down and have a quiet drink with us and soak in the good vibes with your crew and our friendly bar staff. The good times roll Tuesday-Wednesday 5pm - 10pm and Thursday-Saturday 5pm - 12am. NOTE: We have great deals with beer and wine on every Tuesdays to Thursdays between 5pm to 8pm. Private functions are available Tuesday to Saturday and we consider private functions on Sundays and Mondays by request. Our Liquor trading hours are 12:00pm-midnight Tuesday-Saturday and 12:00pm-10:00pm Sunday. Spawn Point can host a maximum of 56 patrons. 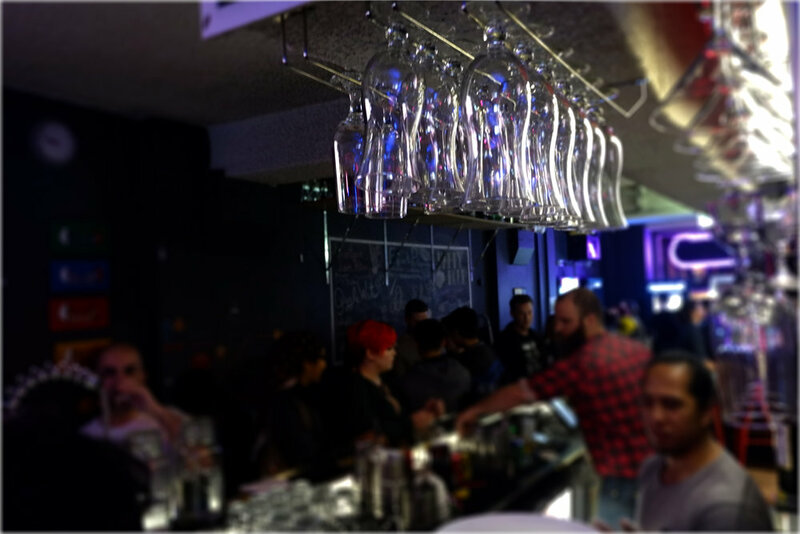 Please note that due to licensing regulations, last drinks have to be served prior to 11.30pm (9:30pm Sundays). Hello to the good friends of Spawn Point Bar! "With @sam and @mel here @spawnpointbar #goodtimes"
"Beating up @john and @steph in #supersmashbrothers! #throwback"
"Loving the new #liquidluck drink @spawnpointbar! #welldoneguys". Selected messages will be published here on our website at 'The Scene'. All the latest buzz going around the place, including events, game news and much more! Stalk us on FB and on 'The Gram' below, or better still, stalk us in person by coming down Tuesday-Wednesday 5pm to 10pm, or Thursday-Saturday 5pm to 12am. Without further ado, here's the buzz..